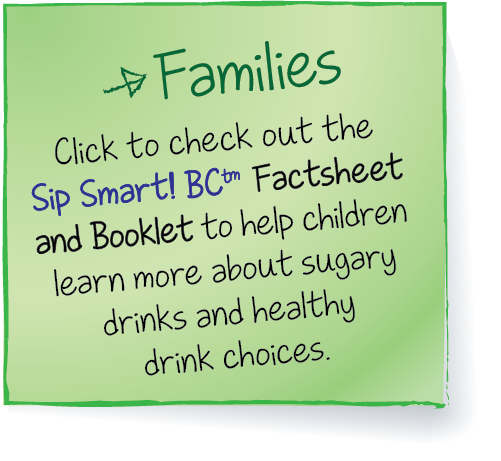 An Agreement between the Childhood Obesity Foundation (COF) and BC Pediatric Society (BCPS) enables COF to use the Sip Smart! 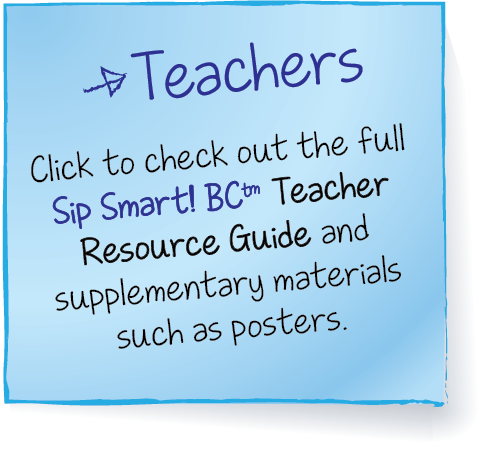 BC™ Trademark and Copyright to deliver this resource for Grade 4-6 students. 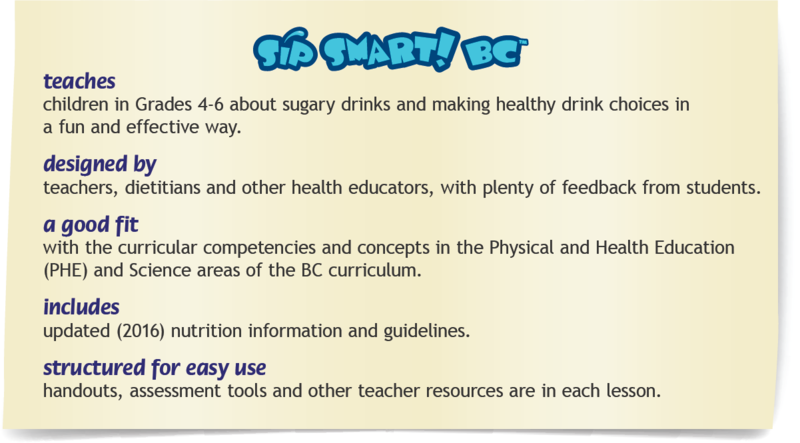 The Sip Smart! BC™ update was a partnership of the BC Pediatric Society and the B.C. Government and was made possible through funding from the Provincial Health Services Authority.